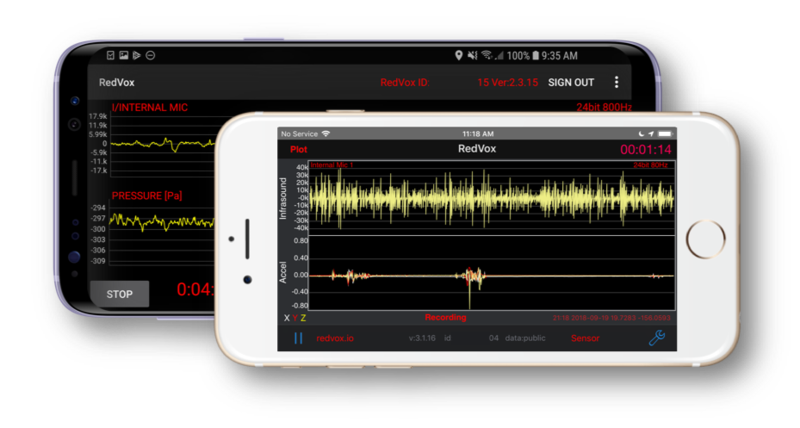 The app is available for Android and iOS devices to collect infrasound and much more! ​ The data you are collecting is stored in the cloud where you can access it later and download the data at any time. Collect infrasound with your device and help build an infrasound network around the world. Be a part of the movement. Infrasound is bass sound below the human hearing range. When sudden and intense as when a door slams, it may be perceived as a startling, palpable sensation. Infrasound can be excited by the movement, vibration or explosion of large things, or by fast objects. 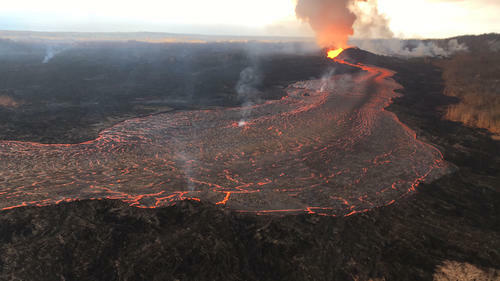 Big vibrating sources include earthquakes, tsunamis, bad weather, and power generation systems. Explosive things include volcanoes, breaking waves, quarry blasts, and nuclear tests. Fast things include jets, departing and arriving spacecraft, and meteors. As an example of a big, fast thing blowing up, infrasound from the 2013 Chelyabinsk meteor over Russia propagated around the world at least twice, and had an equivalent yield of a 1 Megaton nuclear bomb. Anybody with a cell phone within a thousand miles could have picked up this signal. Recording infrasound used to be complicated and expensive. 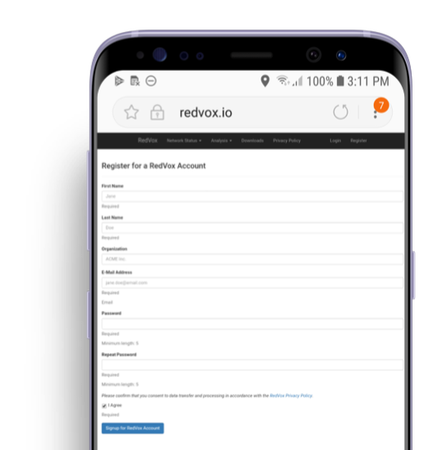 With the RedVox Infrasound app, anybody can now explore the inaudible sound field around them, and help build a global hazards and noise monitoring network. Stay connected to us in the Infrasound World.